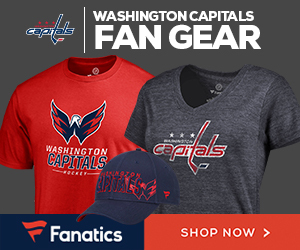 If you were on hand at Verizon Center on Dec. 8th when the Caps beat the Red Wings in an awesome shoot out, you also noticed delighted fans walking around the concourse holding hockey sticks. The sticks were purchased for a charity fundraiser to benefit the Monumental Sports and Entertainment Foundation called Pick-A-Stick. All of the sticks were signed by a Caps player, except five. The fans that bought those sticks got to meet T.J. Oshie after the game and he signed them personally. The lucrative fundraiser is always a big hit with fans, but where do all those sticks come from? The answer is The Heritage Stick Co. The proud owner of the leader in the branded stick market, Aaron Logan, was on hand to help the Caps with the signing and meet the fans. The Heritage Stick Company‘s first NHL client was the Edmonton Oilers. Soon after that, more and more NHL teams started to come on board. Washington has been buying sticks since 2006. This season the stick company based in Newmarket, Ontario will supply 21 NHL teams with branded signature sticks and over 115 professional and amateur teams across North America. In addition to the customized souvenir sticks, Heritage will also provide commemorative sticks to NHL players reaching a milestone in their career. Fans remember when former Caps right winger Mike Knuble played his 1,000th game on Dec. 20, 2011. He was presented a Silver Stick custom made by Heritage. Logan realizes how significant the commemorative awards are to the recipients. “I have spoken to a lot of guys we have made sticks for and they always say that, besides team accomplishments, this is the one item they love to show off in their trophy room because of how hard it was to achieve. By the end of this season our total will be around 40 Silver Sticks, a couple of silver microphones and a number of silver pucks. Not just anyone can order these. We reserve this item for special achievements,” he said. Capitals captain, Alex Ovechkin, is closing in on his 500th career goal, and The Heritage Stick Co. is getting ready for the big day. Logan takes great pride in working with teams to create sticks that are used for such a wide variety of purposes. “I love that our sticks are used by team foundations to raise money. I love seeing our sticks given away to lucky fans at the end of a game. I love seeing a stick at a charity event and knowing that the money that is raised will benefit a worthy cause. I also love walking into a sports bar and seeing our sticks hanging on a wall because it shows me how important that team is too the patrons of the establishment,” he shared. Every season Logan visits as many clients as possible. The Capitals had long been a client, but this was the first time he had been to Washington for a visit. The Pick-A-Stick promotion by the MSE Foundation was the perfect opportunity for him to meet the players, the staff, and the fans. Mike Knuble gets his silver stick for his 1,000th game.